At the outset, let me once again extend my personal and the Afghan foreign governmentâ€™s collective warm welcome and heartfelt thanks to everyone of you for travelling from near and far to attend todayâ€™s historic Heart of Asia Conference in Kabul. It is my sincere hope that your stay in Kabul is both fruitful and enjoyable and that you will take home with you a positive outcome for our deliberations here today and some nice memories from your visit. We are truly privildged to be able to bring together such an august company of leaders in a spirit of friendship, openness and cooperation to discuss the crucial need for sincere, result-oriented cooperation in this critical region, at this critical juncture. I also wanted to reiterate the gratitude of the Afghan government to the Turkish government and to my brother Foreign Minister Davotuglu personally for Turkeyâ€™s leading role in the Istanbul Process and for an exemplary hosting of the Istanbul Conference for Afghanistan: Security and Cooperation in the Heart of Asia of November 2, 2011, the first conference in the Istanbul Process, an effort we regard with hope and a sense of renewed promise for a future of real peace, security, stability and prosperity in this region. A quick glance back at the past few months since our gathering in Istanbul makes it abundantly clear that this process has been more successful, more productive and enjoyed much stronger ownership and support by the participating countries than just about anybody expected, especially those outside our region. In our view, the Istanbul Process is one of the most meaningful, the most concrete and the most promising effort at realizing the vision of sincere, result-oriented cooperation among countries of the Heart of Asia region at least over the past one decade! There are several characteristics to this unprecedented success of the Istanbul Process. Iâ€™ll enumrate only some of the more salient of these characteristics that weâ€™ve observed over the past several months of preparations for todayâ€™s conference. First, and as reflected by His Excellency President Karzai a few minutes ago, there is a more intimate, far greater and far clearer understanding of the intertwined nature of both the challenges and problems but also the great potential and opportunities in our region. It is today impossible to compartmentalize our notions of peace and security for our individual countries â€“ to think, for example, that terrorist sanctuaries in one country or terrorist attacks in another country will not affect both the short- and long-term peace, security and stability of the entire region. It is also equally inconceivable to expect that we in Afghanistan will be able to single-handedly tackle the scourge of narcotics because there are key factors and actors beyond our borders that play a central role in the continued existence of this shared menace. 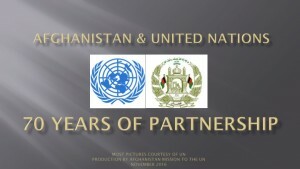 It is also evident that if allowed to unleash, this regionâ€™s truly tremendous potential in human and natural resources; trade, transit and investment; services and other fields can not only tranform the lives of the peoples of this region for the better but significantly contribute to security and prosperity in the broader world. Second, the Istanbul Process fo far has made clear that if we can muster the will and the commitment, the countries in this region are more than capable of finding workable, consensus-driven solutions for the regionâ€™s common challenges and problems. For the first time in ten years, we have agreed to a set of concrete confidence building measures that will take us from rhetoric to action. 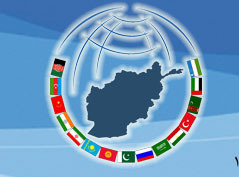 The seven confidence building measures proposed for adoption in this Conferenceâ€™s final declaration â€“ agreed to through several high-level preparatory meetings among senior officials from the Heart of Asia countries â€“ cover such areas of cooperation as counter-terrorism, counter-narcotics, disaster management, strengthening links among national chambers of commerce, educational and cultural cooperation. Third, there is strong consensus-driven support from all Heart of Asia countries for our collective decision to follow-up our deliberations and discsusions first in Istanbul and now here through regular consultations among our senior officials and at least once a year at the level of foreign ministers. This in our view is another clear demonstration of our real commitment to making tangible, concrete progress on the confidence building measures weâ€™ve agreed to implement. Fourth, just as there is strong consensus on the ownership of this process by the participating countries, there is broad and firm support among us for the role of the supporting countries and organizations, represented around this table. The high-level presence of the diverse group of supporters of the Istanbul Process today is a clear sign of the importance and significance of this effort. The presence of supporters underscores the interconnectedness of our world and how security and stability and development in one region, especially in the Heart of Asia region, directly affects security and development worldwide. Another key element of the Istanbul Process is creating ever closer linkages, coordination and synergy in the Afghanistan-related efforts of regional organizations. Afghanistan is a member of most of these organizations. We believe each one of these organizations have a critical role to play and weâ€™re very happy to have them on board. 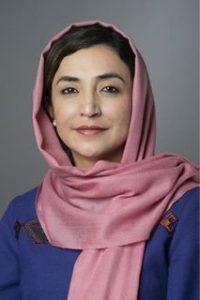 In this connection, let me reiterate the Afghan governmentâ€™s satisfaction with our new status as observer country at the Shanghai Cooperation Organization and underline our deep gratitude to all SCO member states for their support and welcome. The participation of the United Nations has been a key pillar of the Istanbul Process. We the participating countries are all members of the UN and I believe itâ€™s role gives the process greater legitimacy and effectiveness. In particular, we are grateful for the contributions of the United Nations Assistance Mission in Afghanistan (UNAMA) so far, which have been significant and constructive. Let me repeat myself one more time: weâ€™re more hopeful and more optimistic about making tangible progress on regional cooperation with this Istanbul Process than any other effort so far over the past ten years. Any step we take towards implementing our shared vision within the Istanbul Process will not only be good for peace, security and stability in Afghanistan; real progress on regional cooperation is essential for peace and security in our region. We in Afghanitan are also determined to reclaim our rightful place in this region â€“ not as an issue, a topic or a problem. Rather, we want to play the role of a regional convenor, connector and mediator in improving confidence and cooperation in the Heart of Asia. Weâ€™ve been first in suffering the consequences of a lack of confidence and fragmentation in this region, which has in turn had a direct bearing on peace and security in the region. So, dear friends, Afghanistanâ€™s sincere and real commitment to the Istanbul Process comes from self-interest that is tied to the interests of the region around us. We all realize that patience is a virture in this collective effort, especially in a region grappling with the legacy and present reality of some real challenges and problems. But weâ€™ll be judged â€“ and I think fairly so â€“ by the steady, concrete progress of our work on taking this crucial process forward one step at a time. We will be watched and judeged by each other, by those supporting us and others. It is, therefore, our fervent hope that weâ€™ll all maintain the perserverance, patience but also farsightedness in moving this process forward. I thank you all very much for your attention and wish us all a successful conference!